I am going to show you these forecasts, but first, a warning. WARNING: Long-range forecasts are rarely accurate, and this article shows how most of last season’s forecasts were incorrect. Also, these forecasts cover three months, but we know that skiing quality improves and degrades with storm cycles that last a few days to a week. Remember that paying attention to a 1-10 day forecast is the way that you'll find powder. 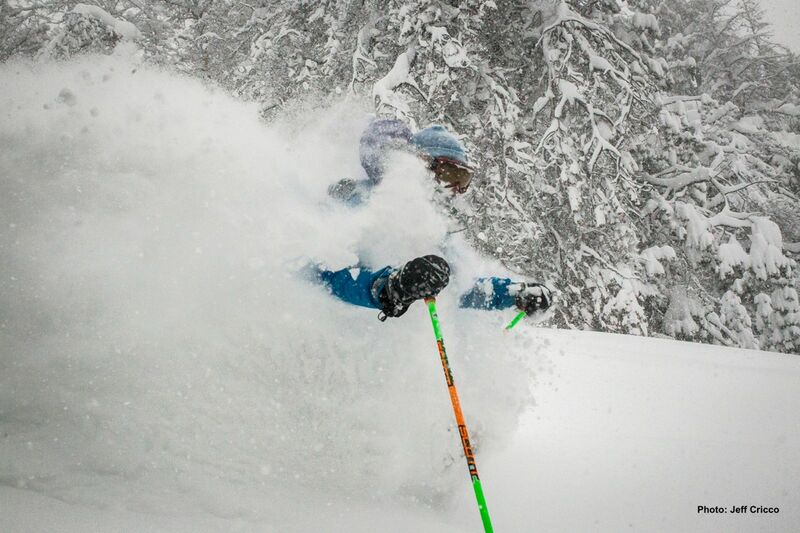 These 3-6 month outlooks offer little to no value for us skiers searching for pow. Warm. I believe the warmth of this outlook is based on a general trend of increasing temperatures during the past years and decades. Most of the country is in the white "equal chances" zone which basically means that the odds of average, above average, or below average precipitation is about the same. If you're looking at the green area in Utah, Idaho, Wyoming, and Colorado and getting super excited for the chance of above average snowfall, please temper your excitement. Remember, 3-6 month forecasts have little to no value. What about El Nino or La Nina? Sometimes, a strong El Nino or La Nina (which refers to ocean water temperatures in the central Pacific Ocean) can help us predict snowfall patterns during the winter. However, for this season, there's a 50-60% chance that water temperatures will be near average (green bar) and only a 20-25% chance for either a weak El Nino or La Nina. In other words, we don't see a strong signal. Dr. Jim Steenburgh from Wasatch Weather Weenies put out this forecast in mid-August 2017. Professor Powder (Jim's nickname) lives and skis in Utah, hence the Utah bias. If you want the highest odds of deep powder, here's what I would do. First, live in a location that's close to mountains with the deepest snow. Second, if you can't live close to deep powder, wait until 7-10 days before booking your trip. Third, even if you wait until 7-10 days before booking your trip, consider only booking to a general area. Fourth, if you have to book a trip far in advance, pick locations that statistics show have the deepest powder. 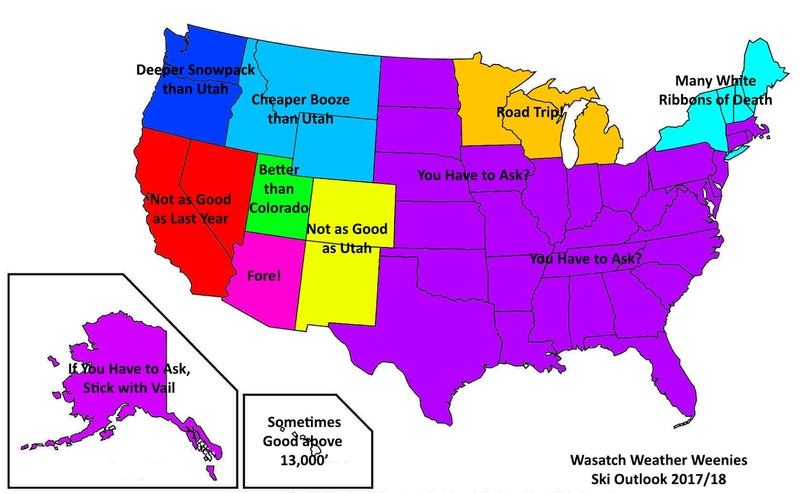 And fifth, if you can't execute any of the above strategies, change your expectations for your ski trip. A wrote a bit more about each point in this article. The fun begins within about 10 days of a storm, which is when we start to be able to forecast which regions and which days could offer the best powder. Being an All-Access member allows you to see our 10-day forecasts, time-lapse webcams for tracking exactly when fresh snow has fallen, and the ability to receive custom alerts to know when powder days are approaching. All of this costs just $19 for one full year (365 days). I’d love to count you as an All-Access member, and you can find out more here.